If you’re visiting this blog after reading my article, How We Paid off $86,000 in Debt in 5 Years – with 7 Kids! on MakingSenseofCents.com, welcome! I’m Carrie Willard, and I’m indeed a homeschooling, work at home mom of 7. Since you’re here, I thought I would point you to some other content you might be interested in reading! My ebook, The Temporary Tightwad: Radically reduce your spending, meet a money goal and change your life forever, goes into even more detail about how my husband and I managed to pay off his debt in 2015. This book goes into the nitty-gritty of our everyday effort to balance the needs of our growing family (and the very real practical concerns that brought, like having to buy two new cars to fit our expanding brood! ), with our overarching goal to be debt-free… and beyond. Personal finance is one of the topics I’m passionate about here on the blog. And more specifically, I’m a champion for being a financially independent woman, even as a devoted (happily married) wife and mom to several kids. 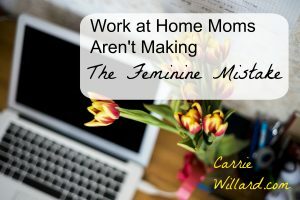 For more about the reasons moms shouldn’t make the “feminine mistake“, read this post. 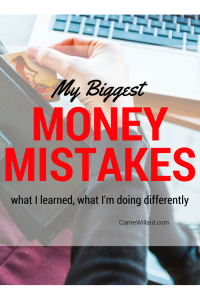 Read this post about my biggest money mistakes, and what I learned (and now do differently). 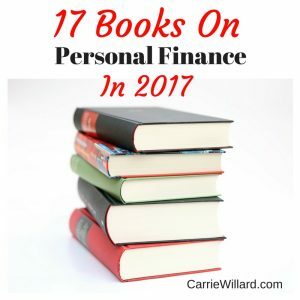 This is a list of my favorite books on personal finance (I made a goal to read 17 in 2017). And finally, if you’re a mom like me… who used to worry about how she might care for her kids should the unthinkable happen to her husband, read this. 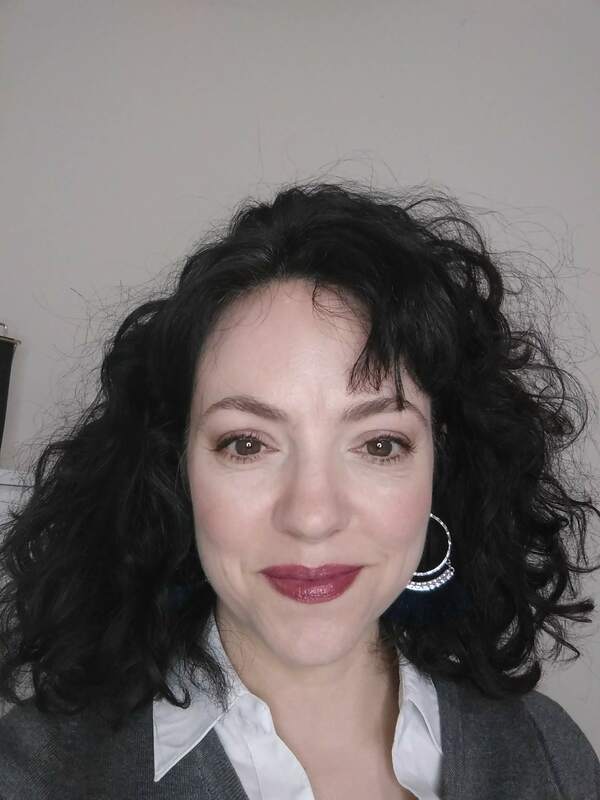 I’m no longer concerned about how I would support my family if my husband became disabled or I became a young widow (which has happened to a few of my friends, to say nothing of unexpected divorce). 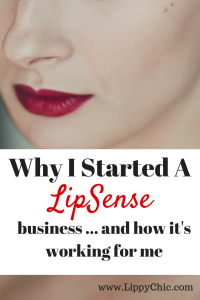 Go here to read about my current business. I now earn a full-time income in VERY part-time hours, all online, from the comfort of home, while I care for my children. 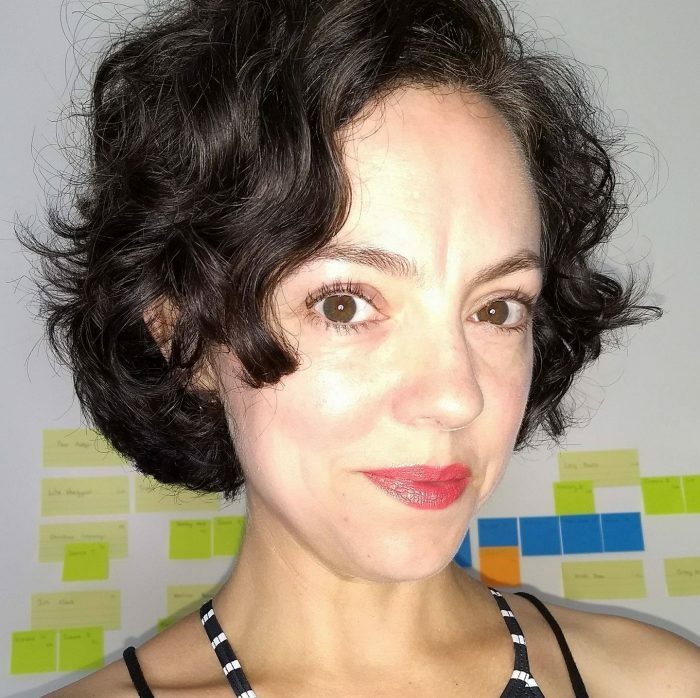 I’ve also earned the car lease reimbursement, so I don’t even have to make a car payment to have brand new wheels (a huge motivation for me – I started my business from the get-go because I didn’t have a car! ).